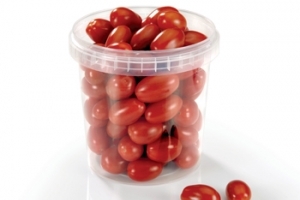 Sabic – a global leader in diversified chemicals – has introduced a range of polypropylene (PP) copolymer resins that it said can help packaging companies to reduce the thickness of their products, leading to savings in weight and system costs and minimising waste. 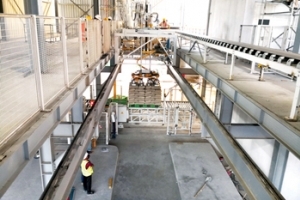 Raysut Cement Company, the largest producer of cement in Oman, said it has started operations of its new state-of-the-art fully automatic packing machine. With this new packer, installed by a leading European equipment manufacturer, the company has now increased its bag packing capacity at its Salalah plant to 1. 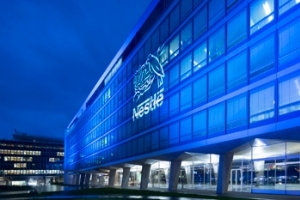 In its fight against plastic waste, Nestlé has announced its ambition to make all its plastic packaging recyclable or reusable by 2025. The Swiss food giant envisions a world where “none of its packaging, including plastics, ends up in landfill or as litter,” it said. Bahrain Pack (United Paper Industries), which specialises in producing a range of innovative customised packaging solutions for the GCC market, is looking at expanding its business by launching new packaging formats as well as tapping new markets in the GCC. 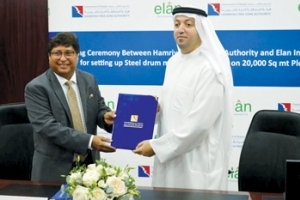 Sharjah-based Elan Incorporated, a leading polymer based industrial packaging company, is setting up a production facility for tight head and open top steel drums of up to 220 litres (55 gallons) capacity for the growing petrochemical and chemical industries in UAE. 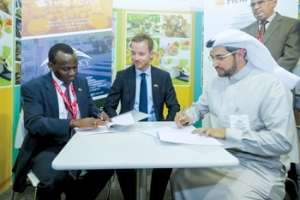 Field Advice, Scandinavia’s leading supplier of food packaging, has recently signed a partnership with Alpha Sky as part of its international expansion plans in the Middle East and to meet the increasing demand for environmentally friendly disposable containers in the region. Indevco Paper Containers has announced the launch of the breakthrough packaging technology, Arcwise, licensed from SCA. Arcwise provides unique packaging technology that, for the first time, is able to develop curved corrugated board packaging. 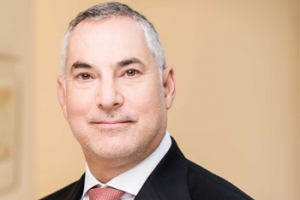 Dubai-based packaging major Industrial Group has named Dr Sameer Al Ansari as its new vice-chairman and chief operating officer (COO). Al Ansari has served on the group’s board for the past 5 years. Following months of in-depth research, UK-based packaging and paper company, DS Smith, has found a solution to the coffee cup recycling challenge. 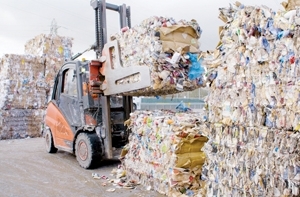 Using its state-of-the-art paper mill in Kent, the company believes it could recycle up to the 2.5 billion cups discarded by British coffee lovers each year. One year from the start of the project, the EU-funded NanoPack Project has achieved one of its goals of producing an antimicrobial film that could be used for food packaging to prevent spoilage, thus increasing food shelf-life and reducing food waste.